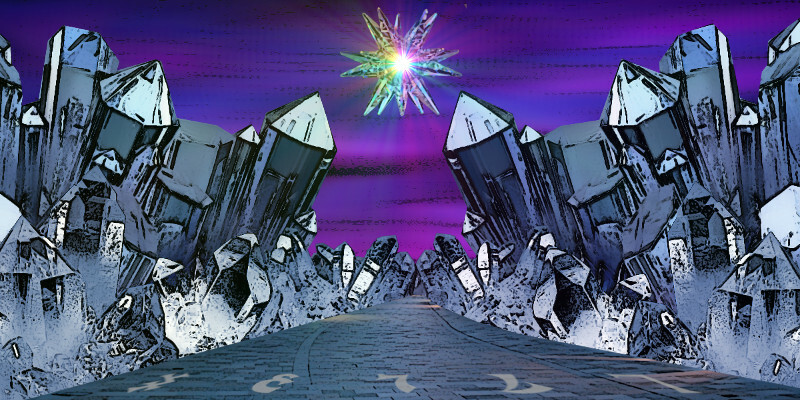 About image of the Day @wisdomsdoor.com, Crystallization: This image continues the journey of the last one (Gate or ARSOE). Once you have walked past that point of no return, you find yourself in a wondrous new land of opportunity and growth. Your human self responds to the energies of spiritual transformation and, like a crystal, begins to grow, evolve, and change to a more perfect self. Every step along the path radiates you with spiritual energy, and you can feel it every step of the way. Oh the path is not easy, but the rewards are well worth it! The formula of ARSOE (pronounced “are-soe”) is the point at which the Christ/Buddha consciousness takes hold. The individual moves from a state of static evolution to one of dynamic evolution. They now see the world from a more open perspective and the energy of enlightenment flows through every aspect of their life. This state of being is not the end or the middle of the spiritual journey, but the beginning of it. It is when the child becomes an adult and begins to walk on his own and take responsibility for his thoughts and creations.